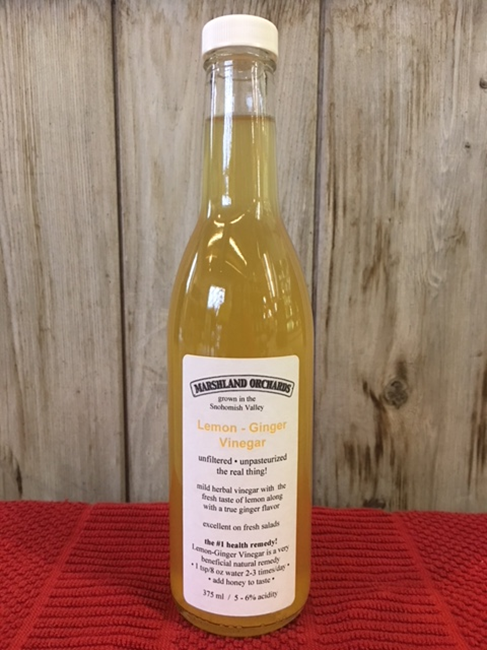 Our lemon ginger vinegar is the real thing; unfiltered and unpasteurized. Mild herbal vinegar with the fresh taste of lemon along with a true ginger flavor. Excellent on fresh salads.